This retro styled aluminum cigar ashtray that will add a touch of class to your smoking area. 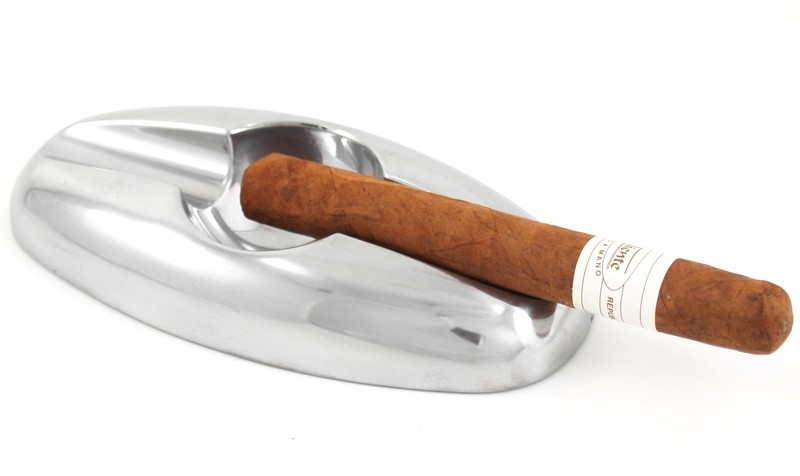 The unusually shaped 2 channel ashtray can accommodate even the largest cigars. This ashtray is perfect for keeping ashes contained while enjoying a fine cigar with some friends. The rubber feet protect your surfaces while remaining sleek and modern.